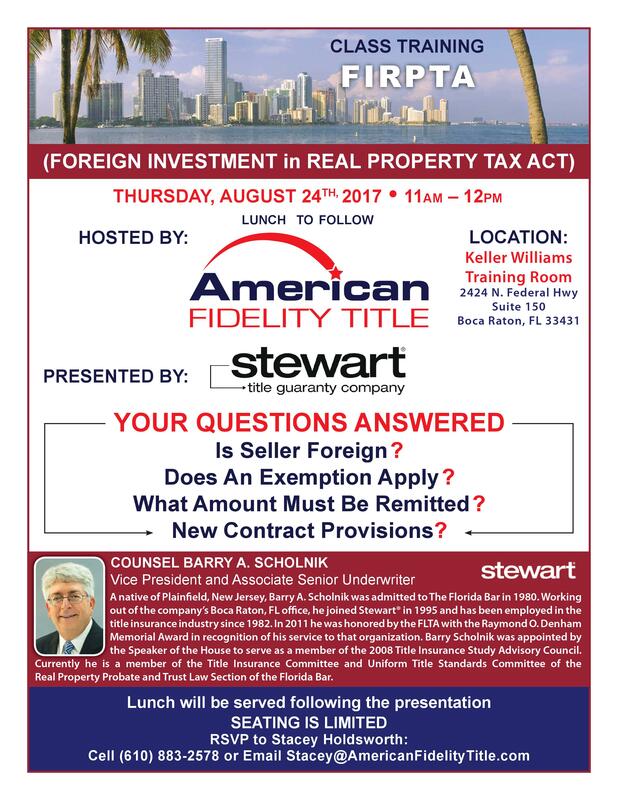 Barry Scholnik, Vice President and Associate Senior Underwriter for Stewart Title Guaranty Company, will visit the American Fidelity Title Boca Raton office on Thursday, August 24th to teach a valuable class on FIRPTA ( Foreign Investment in Real Property Tax Act). Many of our Realtor clients have ongoing questions about working with their buyers and sellers that are from other countries -Is my seller foreign? Does an exemption apply? What amount must be remitted? 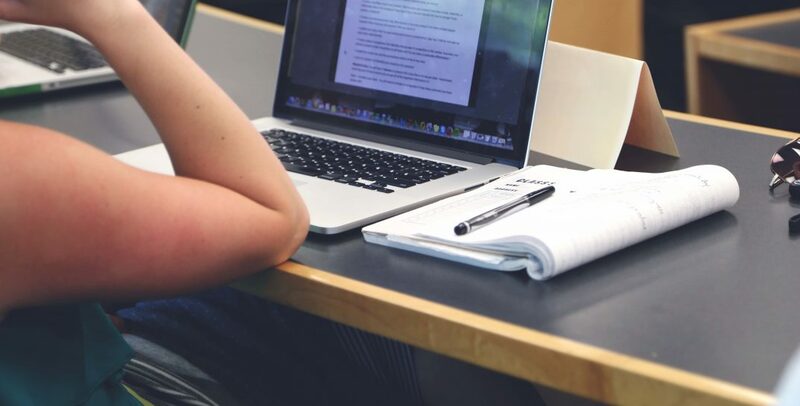 This brief but informative training session will provide answers to these questions and more. The program will begin promptly at 11am, and lunch will be served at noon at the conclusion of the class. Seating is limited, so please RSVP to Stacey via stacey@americanfidelitytitle.com. The location for the program is the Keller Williams East Boca office at 2424 N. Federal Highway, Suite 151, Boca Raton, Florida, 33431. Barry A. Scholnik is currently Vice President-Associate Senior Underwriter for Stewart Title Guaranty Company, working out of the company’s Boca Raton, Florida Office. He joined Stewart in 1995 and has been employed in the title insurance industry since 1982. He is a past President of the Florida Land Title Association (FLTA) and is a former chairman of the Insurer’s Section of the FLTA. He was a zone vice president for the FLTA from November 2001 thru November 2003 and from November 1991 thru November 1993. He is also a past chairman of the FLTA Claims Prevention and Avoidance Committee. He is also a member of FLTA’s Governmental and Judicial Affairs Committee. In 2011 he was honored by the FLTA with the Raymond O. Denham Memorial Award in recognition of his service to that organization. Currently, he is a member of the Title Insurance Committee and Uniform Title Standards Committee of the Real Property Probate and Trust Law Section of The Florida Bar. In 2008, he was appointed by the Speaker of the House to serve as a member of the 2008 Title Insurance Study Advisory Council. A native of Plainfield, New Jersey, he received his undergraduate degree from Emory University in 1977 and his law degree from the University of Miami School of Law in 1980. He was admitted to The Florida Bar in 1980.